Gorgeous Property - your own private retreat - You can have it all! 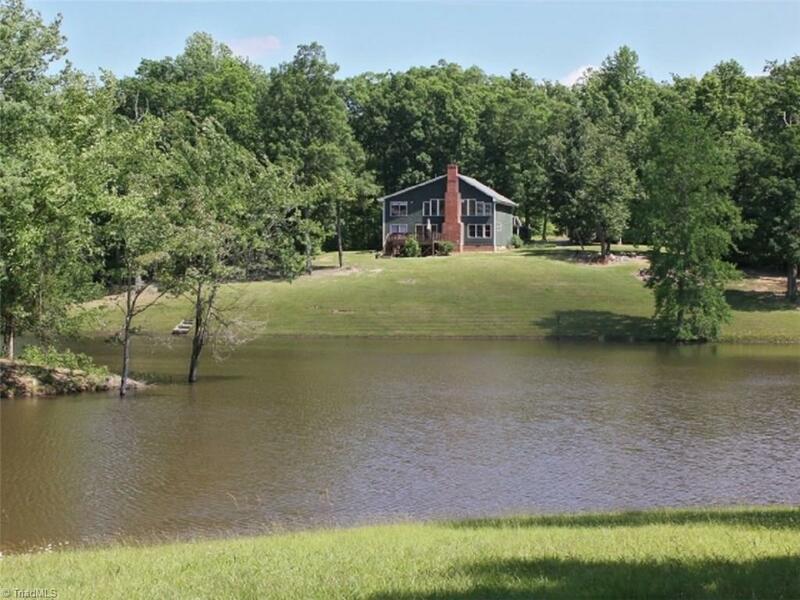 Lake and Mountain views on this 104 +/- acre property located in Graham NC which is convenient to both the Triangle and Triad. The house boasts an open floor plan with hand hewn poplar floors, huge masonry fire place and large deck overlooking your own stocked 10 acre lake. 6 car - 72x35garage for storing all your toys. Hike to the top of the mountain and see for miles!! Can subdivide. One of a kind property - a must see!